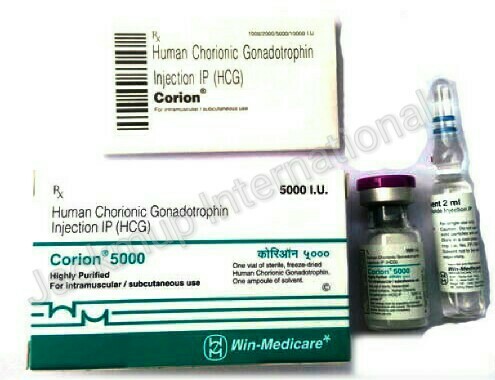 Description:- Corion 5000 iu injection is used in the treatment of female infertility (inability to become pregnant) and male hypogonadism (decrease in male hormone). It stimulates the production of gonadal steroid hormones by inducing interstitial cells (Leydig cells) of the testis to produce androgens and the corpus luteum of the ovary to produce progesterone. Believe in Us , Believe in Good Health !! !